I keep putting this blogging off, but today, I will try to persevere for two reasons: One, I am home sick, and need to feel more useful or risk winter depression (and with no warmer climes trip on the horizon, this is NOT a good thing) and Two, my talented friend and sometime writing partner,Verandah Porche, has offered to write the next entry after mine about the “cold.” I NEED to read this soon, so I guess my assignment is clear. 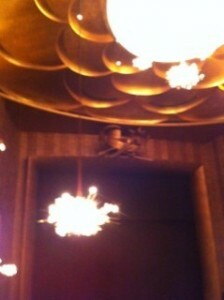 I will spin the story of the Opera, and the DFJB condoms. I am thinking I may need to start making stuff up soon, but for now, I will stick with the truth. 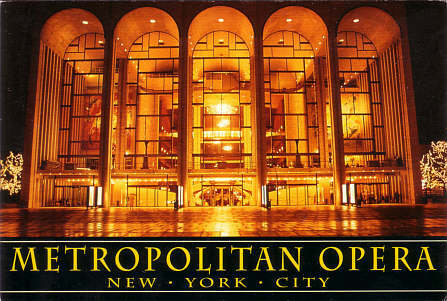 On the High Brow theme, is the story of going to see Tosca at the Met. 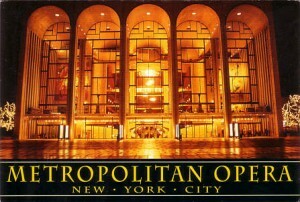 My friends Jeremy and Heidi, have offered me a “taste of the great opera going experience,” and I am totally hooked. Each note takes me deeper into understanding and LOVING this great art form – the floating high Cs, the facile runs, the sets, the costumes, the melodies, the orchestra…! In my short sampling, (Tosca, Carmen, La Traviatta, and Aida) it seems that the plot can be summed up as this: There is a great and wondrous love, terrible and evil complications and then, everyone dies. It is comforting to know in advance, that all will NOT end well. I mean, really we will all be leaving here eventually….. Lets sing about it. The tale of the DFJB Band “specialty” very colorful DFJB condoms is not such High Brow Art, but a good “Low Brow” tale nonetheless. The condoms are the initial brainchild of Scotty and my very politically active daughter, Melissa. She has worked with AIDS education organizations around the world, and is well aware that a condom can save a life, and also protect women from unwanted and /or unsustainable pregnancies. It seemed like it would be easy, but dysfunction set upon us (complications!) First,the manufacturing company could, not fit the cover design submitted by a friend who is a design pro, onto the cover. OK , no big deal. Then the “price” on the internet was “wrong” (“must be an old site!”). Then right before the Xmas consummation of the deal (shipping) Pay pal went on the fritz in New Jersey and our payment froze. We were left with hideous visions of long, package- laden lines at the holiday Post Office. This danced in our heads as we debated the merits of certified mail and personal checks simply dropped in unknown PO boxes. The check ultimately made its way, and cleared, and the delivery was soooo near when not one but two blizzards hit NYC, and UPS managed to drop one digit from our house address! The box of 1000 condoms was really getting around, on the truck, back to the warehouse, on the truck…. REALLY? We waited, and not always so patiently, especially when UPS called at 7AM waking us up to say that because of the snow, perhaps there would be no delivery, but in order to find out we needed to call back (AND sit on hold) after 8:30! Happy endings ensued, and eleven days later the most handsome UPS driver in all of Brooklyn delivered the “Units” into our hot little hands. They looked great (if such a thing can be said about a “specialty” condom.) We had debated, and joked about what should be on the matchbook cover. 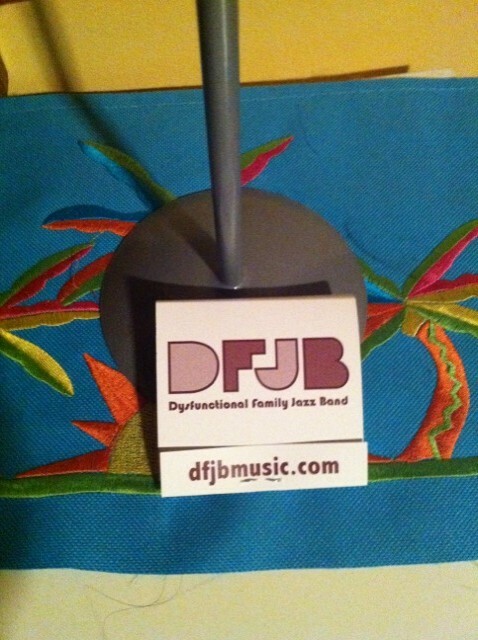 Our logo and website for sure, but we nixed using the photo of the band as too creepy and the “Blessed by Benedict” as too topical and obscure. Who knows for how long the Catholic Church will sanction the use of condoms. At first “Have one on us” was in contention but, then Charles thought up “Thanks For Coming ” and we hope you do …. come, to see a show. The band will strike up a lovely tune, and we’ll give you one free and SING (with a microphone, and in harmony). There may be complications (we ARE family AND musicians), but hopefully no one will die (just Yet). This entry was posted in Mom Says and tagged Aids education, condoms, DFJB, Opera, The Met, ups, Verandah Porche on January 28, 2011 by Patty.